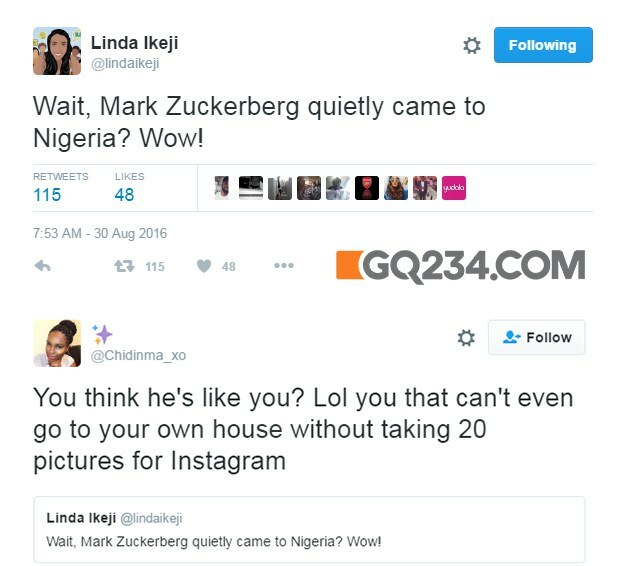 1)You have to be like Linda Ikeji. The color of your rice has to be screaming “look at me, see how red I am…notice me o; or I die!” The color of your rice must carry designer bag and nack designer shoe. It must be the reddest and show itself on a leaf or in a Gucci bowl like Linda Ikeji shows herself in a mansion in banana island. 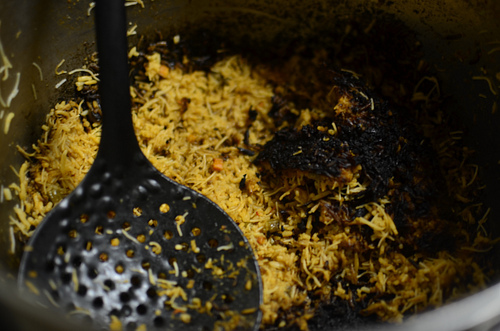 2)Cooking Jollof rice entails steaming with a little water. And to get that perfect water content, you must posses the spirit of wickedness. You must be wicked like the Nigerian economy. Be stingy with your water like Oga Buhari is stingy with oil money…Sai Baba! That kind of wickedness that makes you let your enemies rot in hell instead of sharing your water if asked. This makes the rice stand apart like the Nigerian Naira. it has to stand one one in the pot(it’s a must!!!! )…Don’t come and cook Llojof abi Jolomi for us to eat. 4)When frying your tomatoes, you must remember how fried your edges were with relaxer before you now joined natural hair gang. Those days when your mother took you to get a perm and your hair came out looking like fried oyel? You must let that tomato done! Cook it like your hair cooks with the relaxer. The tomato must die and resurrect! Natural fire! 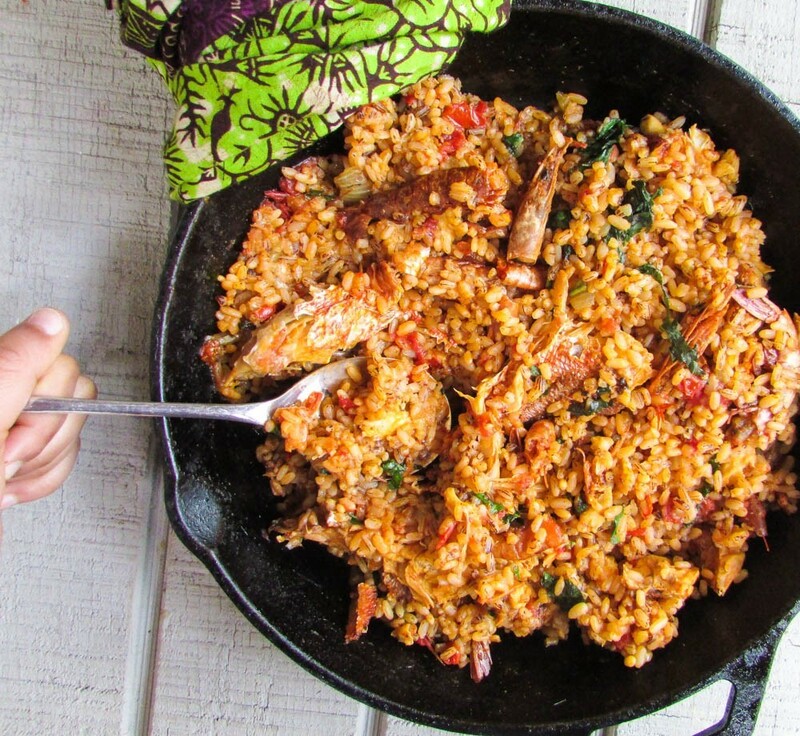 If you can’t cook Jollof, feel free to eat it in the dream. 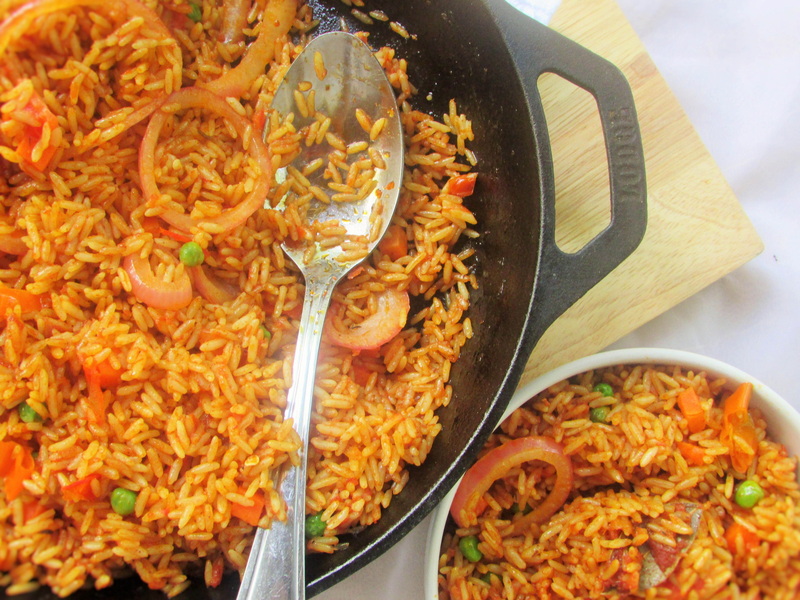 And if you must eat it in the dream, make sure it’s Nigerian Jollof. Don’t go and eat Senegalese or Ghanian Jollof o. 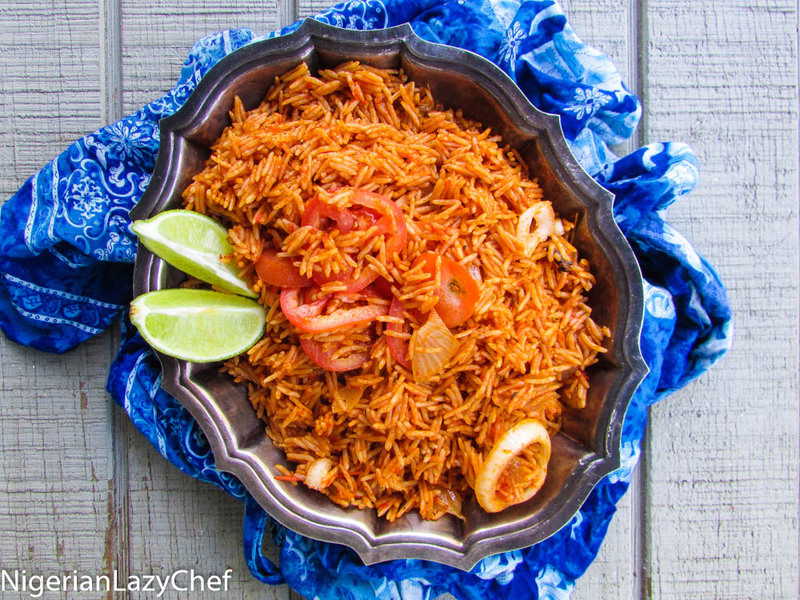 Eat Nigerian jollof, Make them know say you chop something! 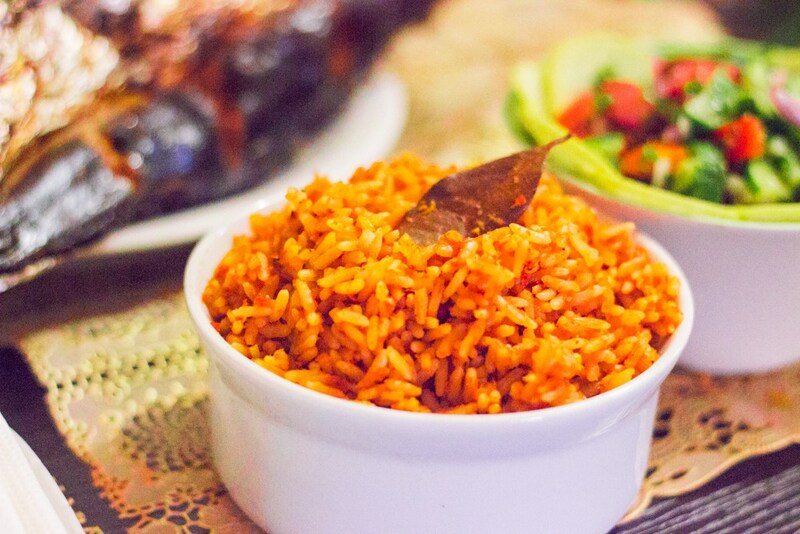 This entry was posted in jollof, Jollof Bulgur, Jollof coconut pasta, Jollof pasta, Jollof rice, Jollof spaghetti, Uncategorized and tagged Ghananian jollof, How to cook jollof rice, jollof rice, Liberian jollof, Nierian food blog, Nigerian jollof, senegalese jollof. 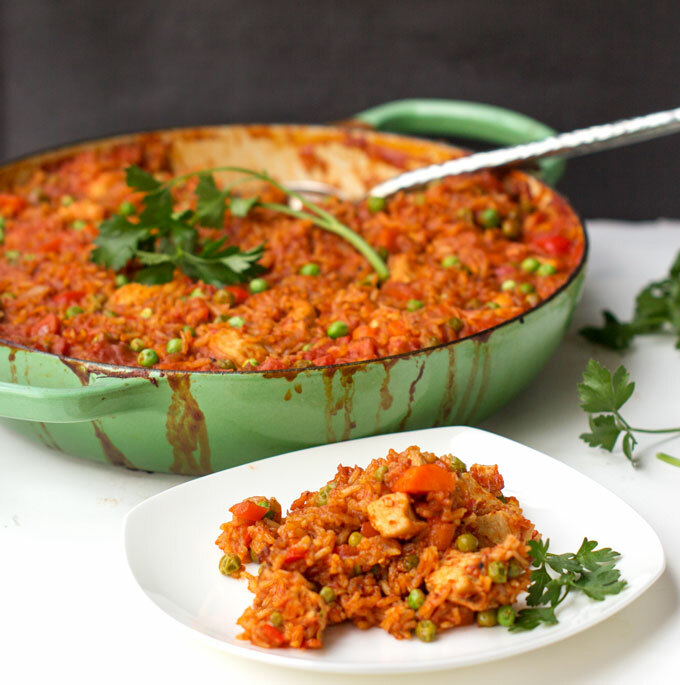 Your ode to Nigerian Jollof is on point. Lazy or not you a one amazing cook and woman. You seem to celebrate and embrace our culture effortlessly and it is to be admired. Continue doing a great job, your awesome!!! I love cooking and I love your page. 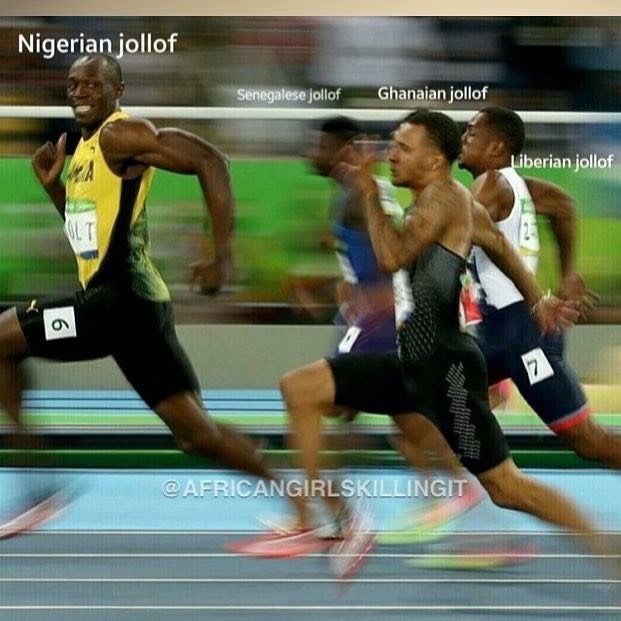 I’m making jollof today.